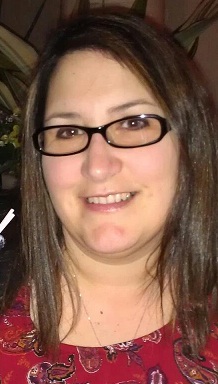 I went for my bi-annual scrapbook weekend with Jodi today, even though Steve didn’t seem to pleased that I still went. I just know that if I put it off any longer, it’ll never happen this fall and I really need the weekend away and with my bff Jodi. He’ll be fine because my parents will be around to check on them and even cook dinner all weekend. 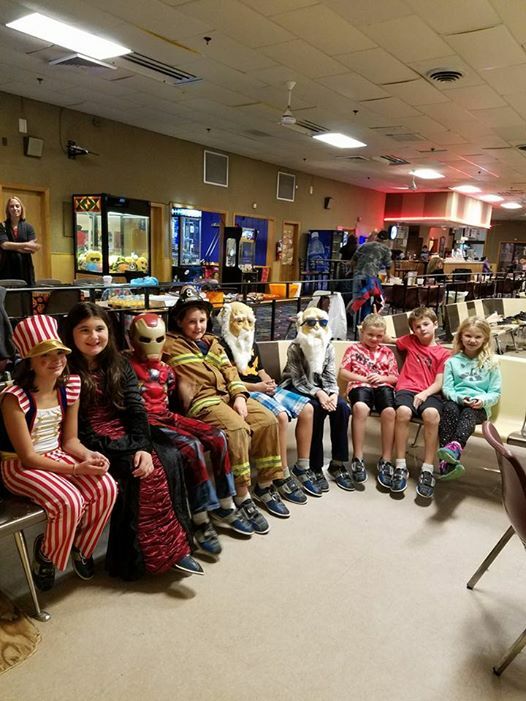 The girls were invited to a bowling Halloween party so my mom took them. I asked her to send me pictures because I felt bad I wouldn’t see them all dressed up. 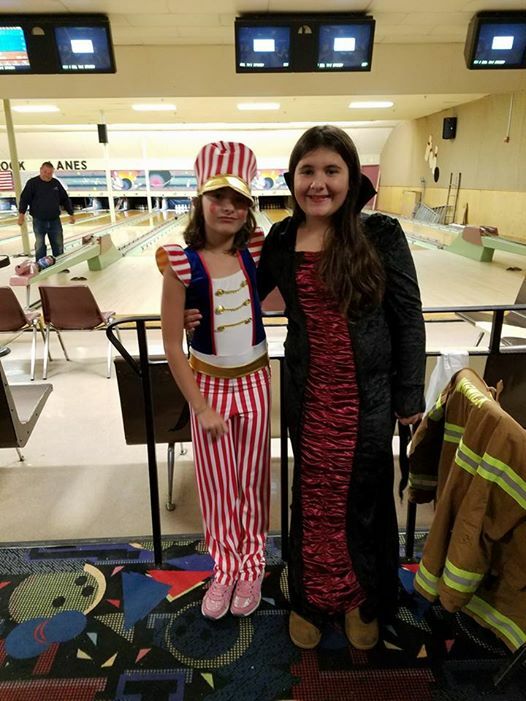 Holly is wearing her Halloween costume for this year, but Allison is wearing something different, and I love what she has on! Don’t they look cute?! They had a really good time and I was told they bowled very well too! Next post: Back in the hospital…..